Another year, another mad back to school scramble. The 2018 school year might have officially begun, but that DOES NOT mean you should feel guilty if you haven’t got everything sorted already. We’re not super parents, we’re human and sometimes (read: most of the time) life is messy. Still haven’t updated the kids’ uniforms? Keep forgetting to buy that new drink bottle? Why are there never any clean socks?! We’ve been there. So, in the interest of fellow parental solidarity, we’re here to help. 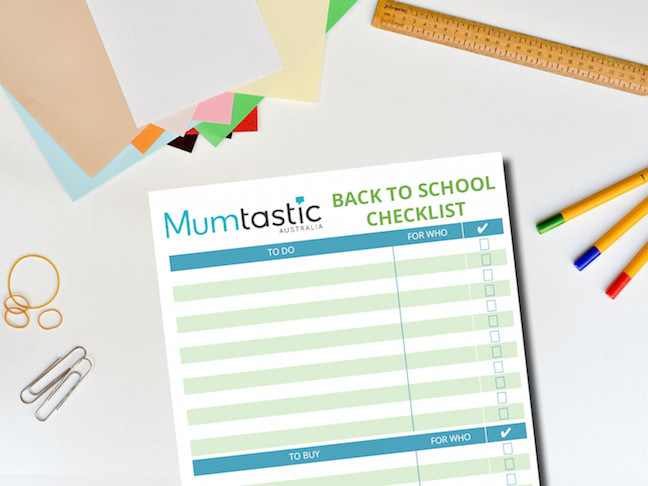 There’s no better time than the present to revisit Mumtastic organisation guru’s Michelle Thompson-Laing’s failsafe B2S checklist. Read below and then start listing your anxieties away. Oh and if you need a little headstart, we’ve even partially pre-filled one for you! Check that out HERE. My oldest (aka my baby boy) starts school this year, and I have to admit to being a little taken back by the amount of stuff that needs buying and doing. Who knew you needed to supply tissue boxes and glue sticks for the class? Clearly not a first-time school mum! 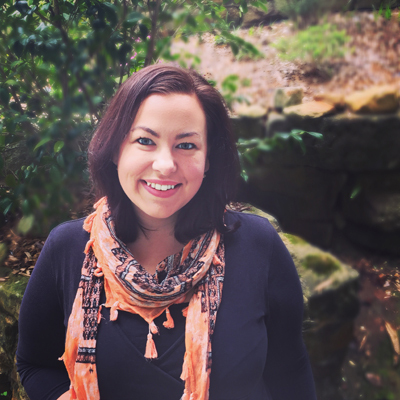 So what does an organisation and order freak do when faced with overwhelm? Create a list of course. I listed everything that needs doing, what needs buying and ticked it off as I went. School shoes, uniforms, lunch box, communal tissues… check. Now as any list obsessed mummy knows, it’s not just scribbling it all down. It’s about the experience of writing the list all ordered and logical, and the process of ticking it off. Oh, and it has to look good (and yes I know I sound like a list-loving fruit loop – I’m okay with that). So to save you the trouble of creating your own back to school list, I’ve created one for you. 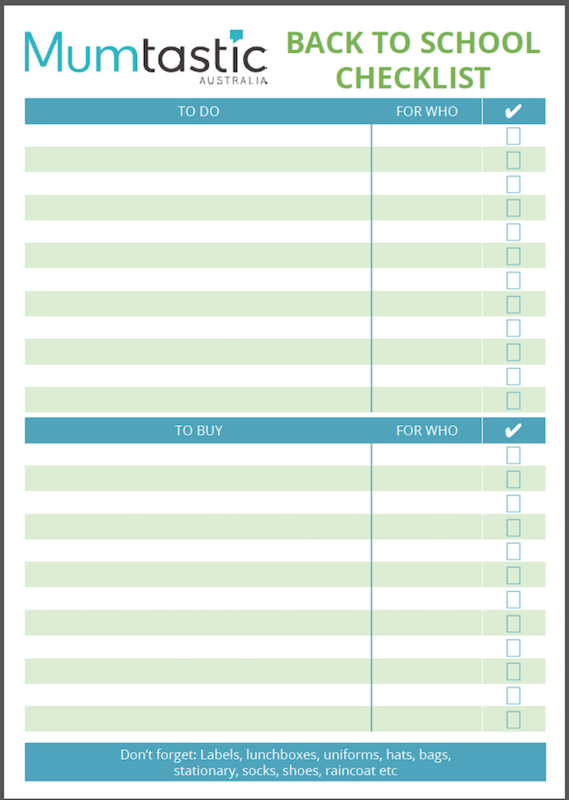 Just click HERE or on the image below to download your printable pdf back to school checklist. I’ve even designed it so it can be used for multiple children without losing track of who needs what. List lovers dream! Have you got everything ready yet? If you’re after some more tips to get ready for school, pop over to the NSW Education website and have a read of their checklists on how to prepare at home.